Exciting News – I’m teaching at MISA! 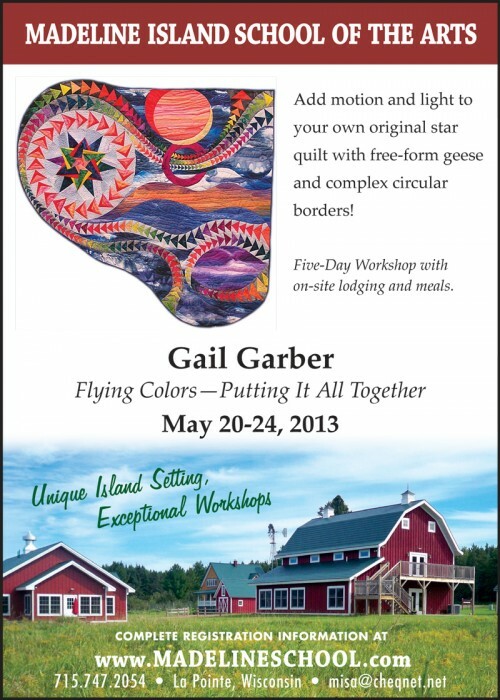 I will be teaching at the Madeline Island School of the Arts on Lake Superior in Wisconsin May 20-24. 2013!! I will be teaching a 5-day workshop of Flying Colors. I love the opportunity to teach at this unique and beautiful venue. I also appreciate the opportunity to teach a week-long class! It’s so inspiring to see what students can accomplish in a week, compared to shorter classes. Plus, we will have so much fun in this pastoral setting! I also plan to give some evening bird programs and maybe even some morning walks on the island. Here is a link to my class information. Madeline Island School of the Arts is a premier art and craft school located on a uniquely restored Wisconsin dairy farm surrounded by Lake Superior and the other twenty-one Apostle Islands. The Island has an art and craft tradition that dates back more than three hundred years. It is easy to reach; just fly into the Duluth, MN airport and take MISA’s round trip shuttle service. Or rent a car and take the Madeline Island Ferry Line. Plus they have Bernina sewing machines to rent if you don’t want to bring your own! MISA’s on-sight lodging is designed to mirror the “Mission Cottage” style which characterized summer homes on Madeline Island in the late 1800s. Nestled on the edge of the forest, with views of the meadow, the rooms are a short stroll away from the workshop and dining areas. Each cottage has four rooms with their own private entry and bath, furnished with two twin beds, mini-fridge, coffee pot, and microwave. All rooms are climate controlled with paintings by local artists and Wi-Fi throughout. Breakfast and lunch are served every day–a wonderful buffet every morning with waffles, fresh fruit, bagels, oatmeal, coffee, tea, and cider from Bayfield’s orchards. For lunch, they cater a wonderful selection from Island restaurants. Choose from a variety of salads, soups, gourmet sandwiches and wraps. There are vegetarian and gluten free options and they can cater to special dietary needs. As for dinner, what better way to get more acquainted with the Island and each other! Choose one of the five different restaurants each night, and enjoy the sights and sounds of Madeline Island. The restaurants are only a few minutes from the school. Please join me for this unique and exciting workshop opportunity!! For more information please go to the MISA website. I’m looking for a Gail Garber pattern my mother found in a 1999 Quilter’s Catalog put out by House of White Birches. In that listing it was identified as #0540001 and it was something like Indian Baskets for $9.99. It made out to be an 86″ x 86″ quilt. Does this sound familiar or trackable to anyone?